After announcing the S9 and S11 recently, Colors Mobile is back again with its new budget-centric smartphone- the Colors P50 Plus in Nepal. The Colors P50 Plus is an entry-level smartphone which is aimed at users who are seeking for a smartphone without spending a large sum of money. The phone comes at a very attractive and affordable price of Rs.6,995 in Nepal, making it one of the cheapest smartphone available in the market right now. 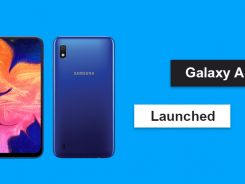 As for the specifications, the phone flaunts a 5-inch FWVGA display with a screen resolution of 854 X 480 pixels along with 2.5D curved glass up front. Powering the phone is a Quad-Core Speadtrum SC9832 processor clocked at 1.3GHz. The phone is aided by 1GB of RAM and 8GB of internal storage which offers memory expansion up to 32GB via a microSD card. The phone is backed by a fine 2,200mAh battery which can easily last for a full day under normal use. On the software front, it runs on Android 7.0 Nougat operating system. Connectivity option includes 4G, WiFi, Bluetooth 4.0, G-sensor, micro USB port and Dual SIM support. In the photography department, the Color P50 Plus sports a 5-megapixel rear camera with LED Flash while, there’s a 2-megapixel sensor at the front for taking selfies and video-calling. What are your thoughts on the new Colors P50 Plus smartphone? Drop your comments and let us know.